April Casey tried to take a shortcut to somewhere else on Saturday when instead she arrived at a dead end – a flood that blocked her path on Will Baker Road, a little ways south of Kinston. She’d been on a mission to rescue cats for a friend who’d summoned her help. And so with the help of her family, a jet ski and some jon boats on loan from others who joined the effort, Casey led an impromptu dog rescue in a region of the state that is now fearing historic flooding in the aftermath of Hurricane Florence. 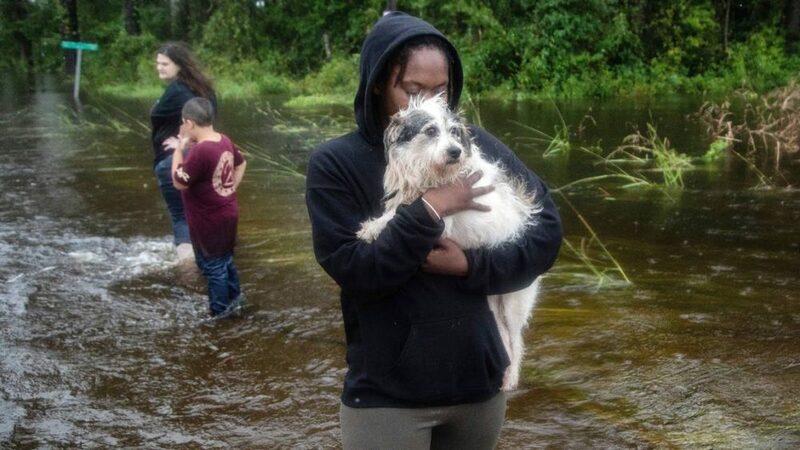 For about 90 minutes, people went to the flooded house and returned to safety with groups of dogs, many of whom were soaked and shaking.